With a Full Moon influencing commitments and companions, you could be reminded in a delightful way of how much a certain person cares for you. However, it will be important to accept that anyone observing your relationship may think otherwise. This could leave you with a decision about whether you're obliged to explain or justify anything related to a special connection. You know what's authentic and true. That's all you need to remember. Tomorrow will see the Moon return to your financial sector and then just hours later, the Sun's return to your income sector. With things about to become more financially focused over the coming days, there was always going to be a call to hold back. Even more so with today's Full Moon muddying the waters. If you do have your money hat on today, daydreaming about income options is the way to go. Try to dial back your signature impatience when it comes to pursuing an ambitious romantic goal at this time. You could be determined to take grand, impressive strides but also oblivious to how confusing and complicated you make affairs of the heart if you try to rush or accelerate a certain process. You could also be surprised at how clear one confusing love life scenario becomes if you gently move things down a gear or two! Because the Moon returns to your financial sector several hours before the Sun's return to your income sector today there is no chance of the two colliding as they did during yesterday's Full Moon. 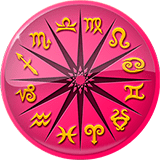 This allows them to operate on two separate tracks, with the Moon returning to fuel your financial instincts and imagination, as the Sun turns the solar spotlight on your income situation, matters and options. You could feel torn between speaking your mind and saying nothing. This may be due to you believing that what you say could differ considerably from what your head and heart intended. However, summoning the courage to speak openly and honestly can heal past emotional or psychological wounds attached to regrets or guilt regarding what you said in the past - or wished you'd said! Don't allow a refusal to speak up this week to become a similar regret. Do so sensitively and compassionately, and all will be fine. This month, you could feel your leadership qualities will serve you well and be integral to ensuring a particular outcome. The New Moon in your sign on the 5th encourages you to have faith in your ability to work to your own set of rules - and others could follow your lead. However, the Full Moon on the 19th may cause you to feel unsure about what others expect from you and this can make it difficult to determine your next move. Fortunately, you have the cosmic support to trust your instincts and the way they encourage you to do what's best for everyone – especially if a decision doesn't focus solely on your needs. The New Moon in your sign on the 5th is a powerful one! It encourages you to reinvent yourself personally, introducing a new look or way of expressing yourself. If you're single, then you have a superb chance to consider how to present yourself to others, and changes you introduce could boost your confidence noticeably. However, whether you're single or attached, Venus's glides into your sign on the 20th and, until mid-May, your powers of attraction are intensified. When it comes to affairs of the heart, coming weeks offer a superb chance to search for – and find – love if you're single. 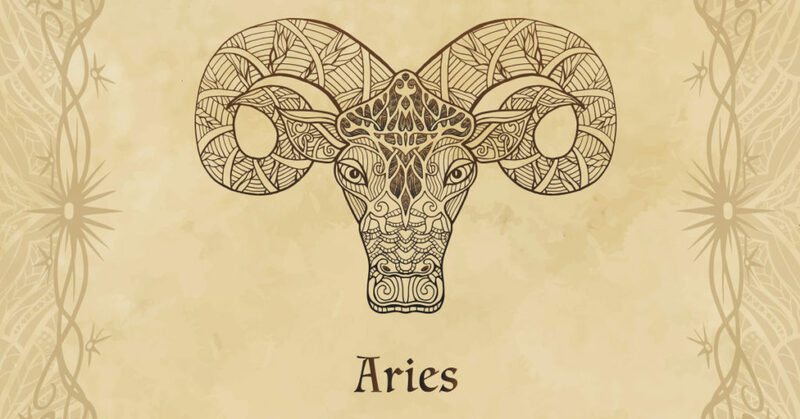 If you're an attached Ram, then Venus can assist with reigniting love between you and your paramour - and strengthen your connection wonderfully! Mars' departure from your income sector in the closing hours of March has left you with a lot of momentum, motivation and the willingness to continue to fight for what you deserve, but with a chance to pull back. Until the Sun returns on 20th April, turning the solar spotlight onto your income situation, matters and options, there is a chance to let things settle. This is also a chance to get a feel for having Uranus on board, without all of Mars' hype, urgency and need for action. Uranus, the planet of surprise, synchronicity and the unexpected is here now until 2026 and until the Sun brings the focus back to the present and the details, this is a chance to regroup. Uranus is still in the early weeks of a seven year visit and while this will become more active and engaged over the coming years, this is a journey and one that is still in the exploratory phase. With Saturn and Pluto both turning retrograde in your career sector this month, this comes just as there is a chance to pull back professionally as well. In the first three weeks of April in particular, the more you can pull back the better. That chance to regroup will be especially important when the Moon moves through your income sector from 7th April to 9th April. As the first visit since Mars left and with Uranus on his own, this is both a chance to tie up loose ends and create a new starting point, ahead of the Sun's return on 20th April. In the meantime, with no planetary activity in your financial sector, the Moon's monthly visits have become a valuable chance to check in. While your income sector is focused on money coming in and this will remain continuously active for the next seven years, your financial sector is more focused on how you manage the money you have. This makes the Moon's visit to your financial sector from 20th April to 22nd April a valuable chance to take care of any financial housekeeping. Hope it’s the real thing.